My technician, Alonso, has consistently gone above and beyond to help us keep pests under control. Job well done, professional and on time. Thanks. Are very through and always pleasant. Louis is the best! He is always here on time with a smile. He is very courteous, friendly and thorough. Great service! All personnel were proffesional and responsible. recommended you to neighbor. The serviceman did a great job. He was very polite and listen to my concerns and made recommendations of what needed to be done to solve my problem with bugs inside the house. Only time will tell if this will work. Raul is one of the most courteous and conscientious people I’ve ever know. He is always polite and professional. My family has used Lloyds for over 40 years and obviously think they are great. Raul is the BEST!! Th guy who repaired my facia. Adequate but not great. Kind of quick and dirty. Not what I would call an excellent job. Either the new piece is to wide or it wasn’t knocked into place far enough. There is 1/4 inch difference between it and the piece that is next to it. No huge deal but just not excellence. Please don’t whip him or throw him in the dungeon or fire him. As I say, not a big deal. 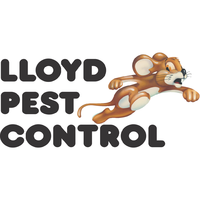 We have been using Lloyd Pest Control for many years, and they have always provided prompt, courteous service. The Technician was punctual and he took the time to explain what jobs he would be performing as well as explaining how to understand the receipt. The Technician presented himself in a professional manner. Keep up the good work. OUR GUYS DOES VERY GOOD CUSTOMER SERVICE !!! I merely had one of your employees here to give me an estimate. The actual work will occur next Wed.
We’ve used Lloyd Pest control for many years and have always been happy with the service. We get quarterly pest spraying at multiple properties. If anything comes up between visits, it’s easy to schedule an appointment to get the work done. We’ve always had very friendly servicemen. Technician answered any questions I had and then performed the service requested. I received excellent service and will continue to use LPC for any pest problems. John was very attentive to our needs and I can get ahold of him on the phone when I needed to talk to him with questions. Your company has been servicing our pest control needs for many years. You have consistently provided exceptional service and customer care. Gisela is great!! Thanks!! Lloyd's has been our pest control vendor for as long as I've been working her (21 years). Their service has always been outstanding. I know that any pest issue will be dealt with immediately with care for our facility and our products. Thank you Lloyds for always doing your best. ant control guy showed up right on time, good job. Always notified a few days before your arrival. Always there when told you would be there. And absolutely no bugs to be seen for a couple of months after you leave. Highly recommend. Service people are well trained, profession and very nice. Quick service and friendly, helpful people. Lloyds technicians have always taken great care of my property. Whether it's the monthly service or a requested treatment. I can count on them to take care of business and resolve the problem. We are a property management company, Harland Property Management, and we are very happy working with Lloyds Pest Control for all of our pest needs. They are quick to respond, very professional and their prices are competitive. It is also a bonus for me working with the same tech for all our jobs. My service tech Alonso is great. The only reason I didn't give 5 stars is because the price keeps increasing. Always great service. Never any issues for as long as we have been a Customer. Always above excellent service by Alonso. Abell has been spraying our planter boxes for years and he always does an excellent job. He even comes back out when we have a problem with snails. Thank you Abel. The K-9 person was kind and considerate. He called with his eta. and came the scheduled date. In the year 2018, we switch our pest control service to Lloyd's Pest Control. We couldn't be happier! We appreciate the work they do for our multiple companies because their response is always quick and thorough. They have a great team working together to meet our needs. Thank you for your service! Thank you for your service. I have had only good experience with you. Your inspector provided a good, detailed inspection and estimate. Your technicians were prompt, courteous and did a fine job. I did receive two other estimates, one was totally inadequate. The other was good but the company never responded with a quote. Your work, on the other hand, was coordinated. Good response from start to finish. Technician was very thorough. EXCELLENT PROFICIENT TERMINATION OF PESTS. THE TECH WAS CAUTIOUS DOING HIS WORK. NO SPILLS. Worked with Lloyds for a little over a year now. Great, fast service!!! We used LLOYDS PEST CONTROL for years. They’ve been very responsive and professional throughtout their service to our property.